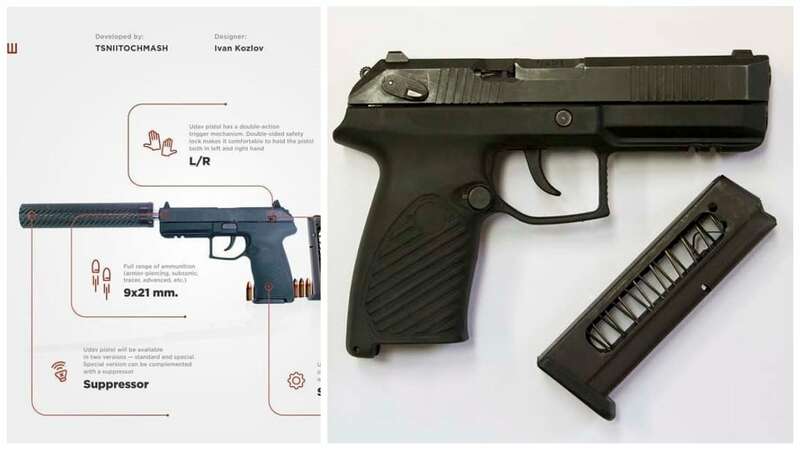 Rostec’s new Udav hammer-fired polymer-framed pistol is on track to finally replace the Cold War-era Makarov PM in Russian military service — and reach for a slice of the global handgun marketplace. 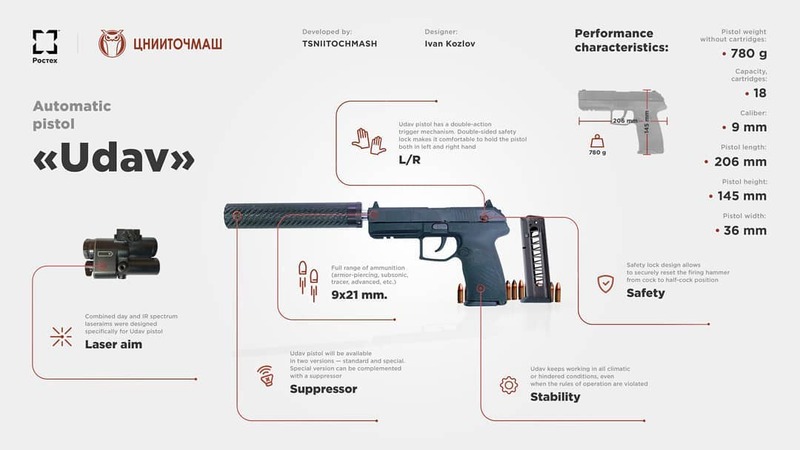 Russian state-controlled media service TASS reports that the Udav — Russian for Boa Constrictor — has bested two other designs in trials to be accepted by the Russian Ministry of Defense to replace both the 1950s-designed Walther PP-like Makarov, chambered in 9x18mm, and other systems adopted more recently such as the 9x19mm MP-443 Grach. Further, Rostec, the state-owned weapons exporter, intends to sell the gun both on the Russian commercial market and overseas. “The civil version will be adjusted to the requirements of professional athletes. Its parameters will be competitive to those of such renowned firearms brands as Colt, Walther, Heckler & Koch, Glock, Browning, CZ, and others,” said Rostec. 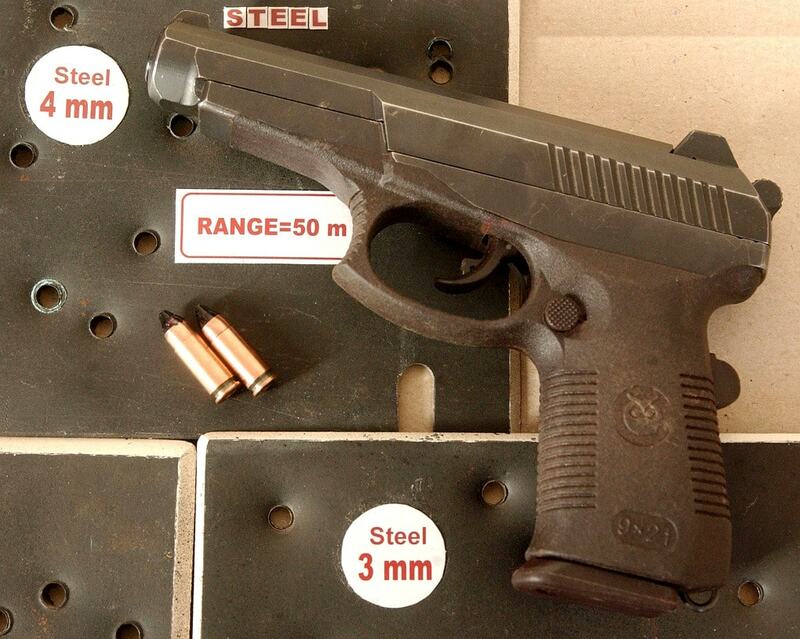 With an overall length of 8.11-inches and an unloaded weight of 27.5-ounces, the new handgun is very similar in size (and appearance) to the Beretta PX4 series pistol that has been on the market for the past 15 years. However, the Udav is chambered in 9x21mm Gyurza, a spicy Russian cartridge that typically runs 1,300 fps on a 110-grain 7N28/29 bullet designed specifically to defeat body armor. It uses an 18-round magazine and has common Western features such as a threaded barrel, ambi controls, and an accessory rail. Designed by engineer Ivan Kozlov for TsNIITochMash in Klimovsk near Moscow– the same storied R&D bureau that has crafted dozens of specialist weapons since WWII such as the VSS Vintorez subsonic sniper carbine, the APS underwater rifle, and the PSS suppressed pistol — the Udav over the past several years out of an outgrowth of their SR-1 Vektor, or SPS pistol. 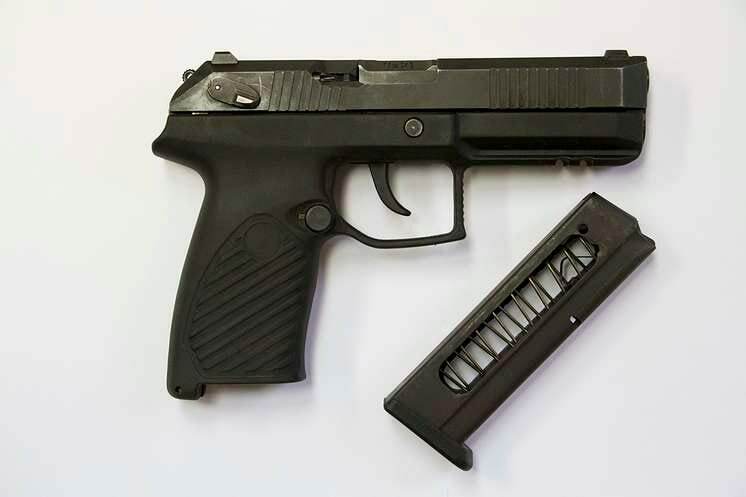 The SPS, also chambered in 9x21mm Gyurza, uses a similar action as well as 18-round magazines and has been in service with security and police tactical units since about 2004. Footage of the Udav in action, below.